You can get Orange chicken everywhere these days. You can order it of course at any Chinese Restaurant, the mall food court, even in the frozen food section of the grocery store. 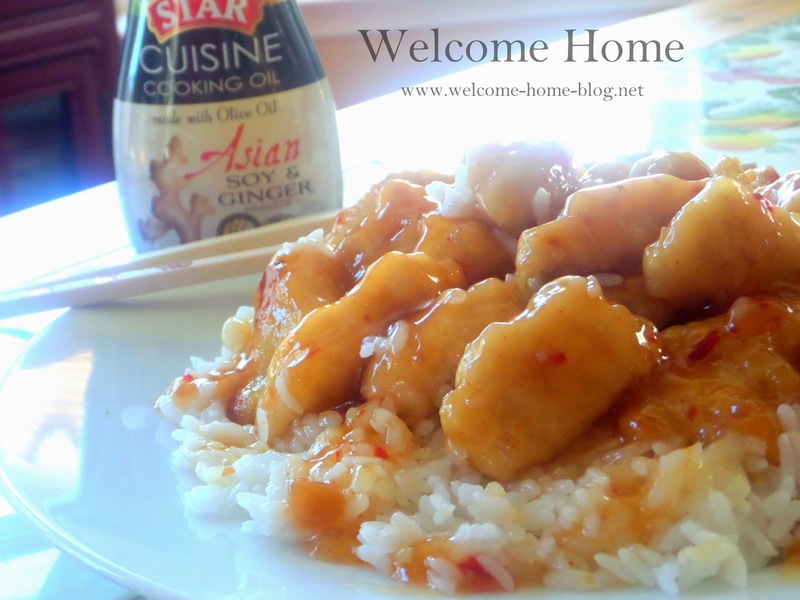 But there's nothing like homemade orange chicken to satisfy your taste buds and make it exactly the way you like it. The recipe is very easy to make but the trick is getting that chicken moist and tender and not chewy and overcooked. I found the secret! 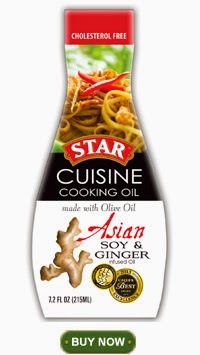 I use Star Fine Foods Asian Cuisine Cooking oil to marinade my chicken and also to fry it. Oh my what a difference in taste and texture! Place chicken pieces in large resealable plastic bag. Whisk all ingredients and pour marinade over chicken in bag. Seal and massage bag so that all pieces are covered. Refrigerate for an hour. In a large saucepan, combine the chicken broth, orange juice, zest, vinegar, soy sauce, brown sugar, garlic, ginger and cayenne pepper; whisk until the sugar is fully dissolved. Bring mixture in the saucepan to a boil over medium high heat. In a small bowl, stir together the cornstarch and cold water; whisk the cornstarch mixture into the sauce. Simmer, stirring occasionally, until thick and translucent, about 1 minute. Set sauce aside. Remove chicken from refrigerator and shake off excess marinade. Place the egg whites in a shallow dish and beat with a fork until frothy. In a second pie plate, whisk together the cornstarch, baking soda and cayenne if using. Pat the chicken with paper towels to remove any excess marinade. You want to fry the chicken in batches so place half of the chicken pieces in the egg whites and turn to coat. Transfer the pieces to cornstarch mixture and coat thoroughly. To fry the chicken, heat both oils in a Wok or large saute pan until hot and sizzling. Carefully place chicken (in two batches) in the oil; fry to golden brown, about 5 minutes, turning each piece with tongs halfway through cooking. Transfer to a paper towel lined plate. To serve, add the chicken to the orange sauce and reheat until simmering, about 2 minutes. Add the chicken and gently toss until evenly coated and heated through. Serve immediately over white sticky rice. Limited availability at select Albertsons (So.Cal), Stater Bros., Walmart, select Safeway and Vons stores and online athttp://bit.ly/STARAsianCuisineCookingOil.